is here! Thank you for celebrating with us. Stories from the Drylands II: A Southern Arizona Climbing Anthology memorializes this time in climbing history for one pocket of a diverse and dynamic community. The collection gives voice to the myriad reasons that individuals of all skill levels, ages, genders, backgrounds, and socio-economic statuses come to climbing. 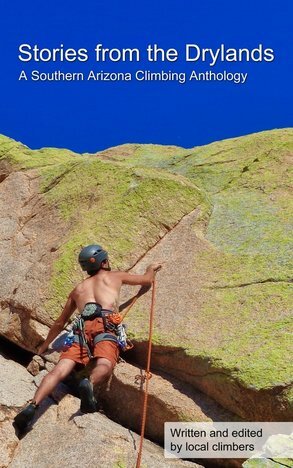 Southern Arizona climbers share their passions, fears, successes, failures, and dreams related to a common experience. In rapidly changing times, their stories uplift and validate the unique community that CASA is honored to serve.